Vampire Beauties: Vampiress Review: "The Understudy: Graveyard Shift 2"
Vampiress Review: "The Understudy: Graveyard Shift 2"
The Gist: While filming a vampire movie, a horror movie set is haunted by the spirit of a vampire who needs a sacrifice to be resurrected. Clarification: A vampire movie about people making a vampire movie this film gets very confusing at times since it jumps from the actors as the actors to the actors playing the characters quite a bit. What we have is a movie crew making a film about a vampire pool shark who takes their victims via beating them in games of pool where they bet their souls (an episode of the TV show "Monsters" would debut with this exact premise a month after this movies release). The female lead in the movie is visited by the spirit of a vampire who is attempting to convince her to take out her co star so he can posses his body. Once he possesses a body he can fully resurrect himself if he takes enough victims. Before this happens the starlet Camilla convinces him to posses her instead and the rest of the film is her suffering the affects of slowly turning into a vampire while the vampire possessing her manipulates the cast and crew of the film. 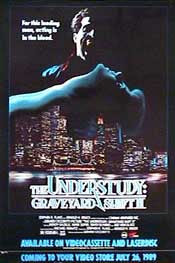 The vampire in this film Baisez is played by the same actor who portrayed the vampire in the original Graveyard Shift film who then was a cab driver named Stephen Tsepes. The safe assumption is they are the same person. The soap opera Port Charles would copy this for their own vampire storyline in which the vampire Caleb Morely would come back from death in a different story arch as a rock musician named Steven Clay (after also being known as Father Micheal prior to the vampire storyline but all eventually being exposed as the same person). Selling Point: This film has been out of print for years and pretty impossible to find so good or bad it's a collectors item. 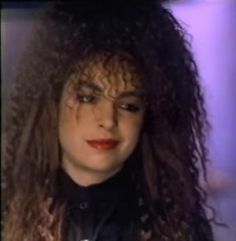 Female Vampire Factor: The lead actress in the film (both real and fictional film in film) Camilla (Wendy Gazelle) is also the only female vampire in the film. Once she's possessed by the vampire Baisez he initially is in his normal form when he does his feeding at night and becomes her during the day but eventually they begin to operate as two separate people and she becomes a vampire herself. Something that her fiance notices right away (mainly because she starts to treat him like garbage). (SPOILER ALERT) despite Baisez being stopped (again) the rule of "if the vampire who turns you is killed you go back to normal" does not exist here. Thankfully the film producers are super cool about one of their stars killing or attempting to kill the others so they just rewrite the film with her as the vampire instead of the vampires victim as it was originally planned. I give it a Vampire Beauty Rating of 3 out of 5. The film drags and the movie they're making seems downright terrible so the entertainment value is mid range since half the film is watching that. It is worth checking out if you liked the original though. "Graveyard Shift: Central Park Drifter"